When it comes to confusion and contradiction, the UK’s Digital Britain report is in a league of its own. Just days after denying the reports that Lord Mandelson would be toughening things up when dealing with alleged copyright infractions, it turns out that it’s true. Also, despite assurances last year that the whole process would have a factual basis, that also turns out to be a lie. 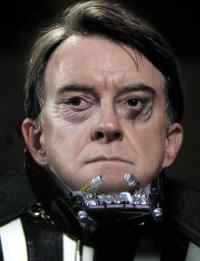 It would seem that wherever Peter Mandelson goes, controversy soon follows. He’s resigned from the British cabinet twice before over allegations of improprieties, so he’s just the sort of person qualified to head up the Department for Business, Enterprise and Regulatory Reform (BERR) (or the Department for Business, Innovation and Skills (BIS) as it was renamed in June). Of course, if action is NOT deemed necessary, if the facts to back up the claims can’t be found for instance, then much of the legislation requested by the copyright industries will not go ahead. That evidence would be hard to find, since at least two separate examinations of content industry figures have shown little to no impact on box office movie sales, or music sales. This may be why there is the sudden push for the legislation, based again on a claim of need, rather than facts. The ISPs are up in arms about this as well, with Talktalk’s Andrew Heaney telling the BBC: ‘Disconnecting alleged offenders will be futile given that it is relatively easy for determined file-sharers to mask their identity or their activity to avoid detection.’ They are rightly concerned with disconnecting the wrong people, based either on mis-identification by investigators, or the use of open/inadequately secured wifi spots. The music industry is enthusiastic though, with the BPI happy. ‘Digital piracy is a serious problem and a real threat to the UK’s creative industries,’ it said in a statement to the BBC, while yet again failing to release any data to back up their claims. ‘The solution to the piracy problem must be effective, proportionate and dissuasive,’ it then says, omitting that these proposals are none of these, just as the 1865 Locomotive Act was not effective, proportionate or dissuasive to the take-up of the personal motor vehicle, or in protecting the railway and equine-based industries from the progress of technology. Meanwhile, as one commenter indicates in a comment on the Digital Britain site, more people will be joining the UK Pirate Party, although the party currently says it’s experiencing only a slight increase in membership. Its members, however, are livid. Clearly he hasn’t been listening to the comments made by 6 million file-sharers in the UK, but there’s no harm in making him more aware. The consultation is open until September. So there’s still time to make your voice heard, but please, keep it civil and factual – even if the Content Industry can’t manage the second. Be the first to comment on "UK Pirates Face Disconnection, ISPs Object"